Incorporating a full size hot cupboard with a gantry light and the facility for holding 3 x 1/1 Gastrnorm trays/pans. Guests can either serve themselves with hot food or can be served directly onto their plates by a waiting staff. The unit comes complete with a Sneeze Screen. 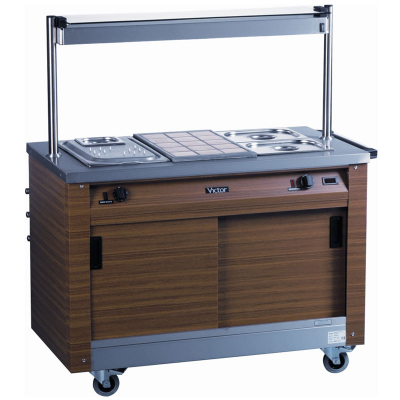 Click the link to download operating instructions: Hot Servery Unit Instructions. Please ensure you read before using.